Timothy Daniel Sullivan (July 23, 1862 – August 31, 1913) was a New York politician who controlled Manhattan's Bowery and Lower East Side districts as a prominent leader within Tammany Hall. He was euphemistically known as "Dry Dollar," as the "Big Feller," and, later, as "Big Tim" (because of his physical stature). He amassed a large fortune as a businessman running vaudeville and legitimate theaters, as well as nickelodeons, race tracks and athletic clubs. Sullivan in 1911 pushed through the legislature the Sullivan Act, an early gun control measure. He was a strong supporter of organized labor and women's suffrage. The newspapers depicted Big Tim as the spider in the center of the web, overstating his criminal activities and his control over gambling in the city. Welch says that, "assigning the role of vice lord to Sullivan gave Tammany's enemies a weapon to be wielded in every municipal election between 1886 and 1912. Sullivan may also have been the person who first proclaimed, "I don't care what the newspapers say about me as long as they spell my name right." However, this attribution to Sullivan is not really clear. The honor might go, instead, to P.T. Barnum. Click on this link to see a discussion about who said it first. If you are interested enough in "Big Tim," you can click right here to find out more about the "gun control" legislation that Sullivan authored. According to the account that accompanied the picture featured at the top of this blog posting, the famous "Sullivan Act" was designed to take guns away from law-abiding citizens, while preserving the ability of gangs and mobsters to maintain their guns, all the better to terrorize the citizenry. I haven't done any real research on that topic, and am not at all sure that the claim just referred to is accurate. 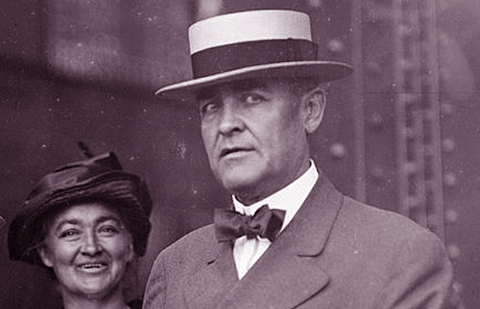 Wikipedia downrates claims that Sullivan was mobbed up, and pretty much identifies Sullivan as a progressive hero, advocate for the "little guy," backing women's suffrage and organized labor. Having been an elected official myself, and one who was never supported by my hometown newspaper, and who thus received a lot of "negative publicity," I can verify that there is some truth in this observation. Which brings me to our current president, Donald J. Trump. I agree with Patrik Müller, a Swiss journalist. Müller points out, in a column in the June 19, 2018, Wall Street Journal, that Trump is glorying in, and profiting by, all the negative publicity he is receiving. 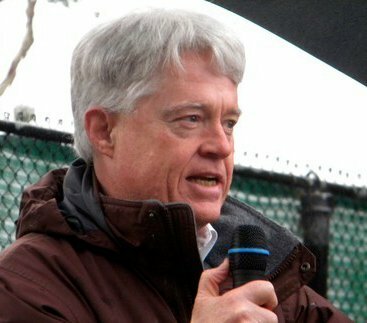 Müller's article is titled, "The Press's Cult of Trump," and it is his observation that the press's obsession with our president's every utterance or action is helping to elevate the president's power and significance, and thus the president's ability to assert a political dominance that is in no way justified by any reality of his person or his politics. Maybe Barnum, not Sullivan, really was the first person who first pointed out that even "bad" publicity is "good" publicity. Barnum has always been associated with the saying, "there's a sucker born every minute," and while the attribution of that saying is also contested, our president doesn't have to know where these observations came from to seize upon them as helpful guides to his political conduct. President Trump's ferocious obsession with the media and his willingness to do anything to get his name before the public indicate that he has learned these lessons well, no matter who first pointed out these political truths. Without trying to discover the origins of this advice, maybe we can finally realize the profound significance of the observation that for a politician and public figure even "bad" publicity is often "good." Feed a cold, but starve a fever. That's another well-known advisory. Isn't that a pretty good prescription about how we should treat "Big Don" Trump, as he appeals for our attention?